A new approach to supporting people living with chronic diseases has helped farmer Kassim Kone manage his HIV/TB. Photo by Oumar Toure/Jhpiego. Tiémélékro, Côte d’Ivoire—Kone Kassim had a persistent cough and was losing weight. Although the 57-year-old farmer was skeptical of the benefits of modern medicine, he took the advice of a family member and visited the Tiémélékro Urban Health Center where he was diagnosed with pulmonary TB. A few weeks later, he tested positive for HIV. Kassim was despondent. “I was convinced that those jealous of my farming success had cast a spell on me,” he said, referring to his rice and coffee crops. A community health worker trained to support people living with chronic diseases visited Kassim at his home. During her visits, she encouraged him to adhere to his TB and HIV treatments, and she educated him on the importance of good hygiene practices that he and his family should adopt. After two months on TB treatment, Kassim was retested at the health center, in line with national guidelines. The test was negative: he couldn’t spread TB to anyone. 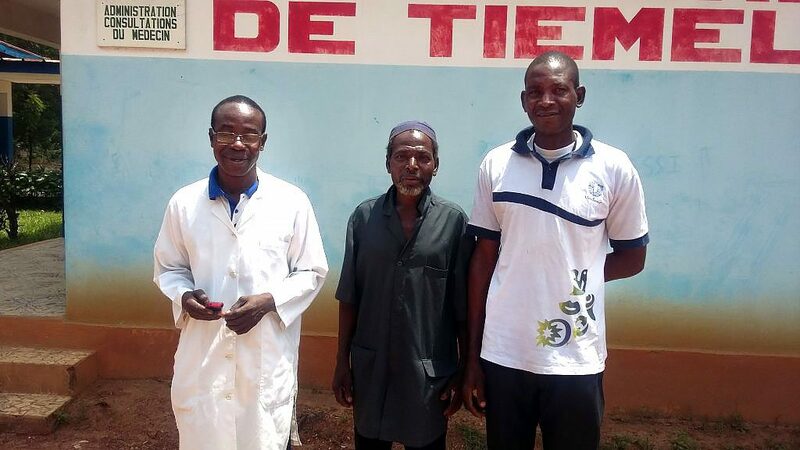 The community health worker encouraged Kassim to join a health club—a monthly meeting of patients living with chronic conditions such as diabetes, hypertension, HIV and TB. “After my participation in the health club meetings, I really understood this disease and its implications,” Kassim told us during a visit to the health center. Kassim is among the more than 500 people living with a chronic disease—the majority of whom have HIV—who have benefited from the health service integration initiative supported by the US Centers for Disease Control and Prevention through the President’s Emergency Plan for AIDS Relief. The project’s aim is to develop, conduct and evaluate an integrated model for the management of chronic diseases, including HIV. Implemented by Jhpiego in cooperation with the government of Côte d’Ivoire, the chronic care model and accompanying health club strategy offer people living with HIV, TB, hypertension or diabetes access to quality health services along with a safe space to meet and discuss their common health issues. The program is held in 44 sites in two health regions in Côte d’Ivoire. Kassim’s knowledge and understanding of chronic diseases grew through education sessions held by the community health worker with support from a nurse. Adopting a positive lifestyle, Kassim, a proud member of a health club, has resumed his agricultural activities. Angeline Anoble is an HIV technical assistant, and Oumar Touré serves as Technical Advisor, HIV and Reproductive Health, in Jhpiego’s Côte d’Ivoire office. Senior Program Officer Gahan Furlane also contributed to this article.